AFL was incorporated in the state of Texas on July 20, 1992 and operates from a single 22,000 sf location at 860 Greenview Drive, Grand Prairie, TX. AFL brings specialized services in a wide variety of industries including food, pharmaceuticals, dietary supplements, cosmetics, beverages and water. 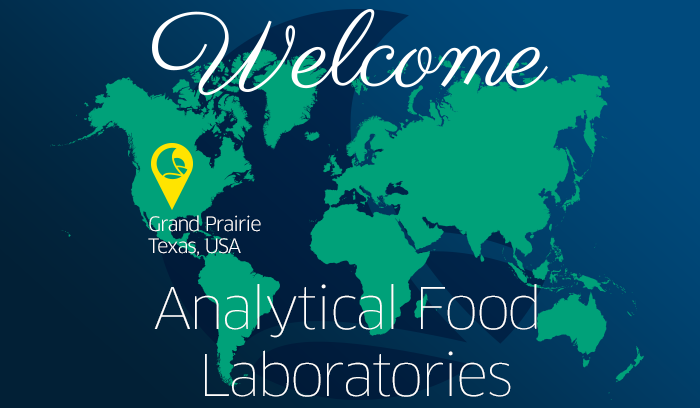 AFL provides product analysis and development, trouble‐shooting, QA and compliance issues. Routine laboratory analysis is offered on a per test basis and to meet customer needs. AFL is an ISO 17025 accredited lab, and holds accreditations with USDA, NELAC/NELAP and is registered with the FDA. Procedures comply with official methodologies including FDA, USDA, AACC, AOAC, AOCS, ASTA, EPA AND USP.